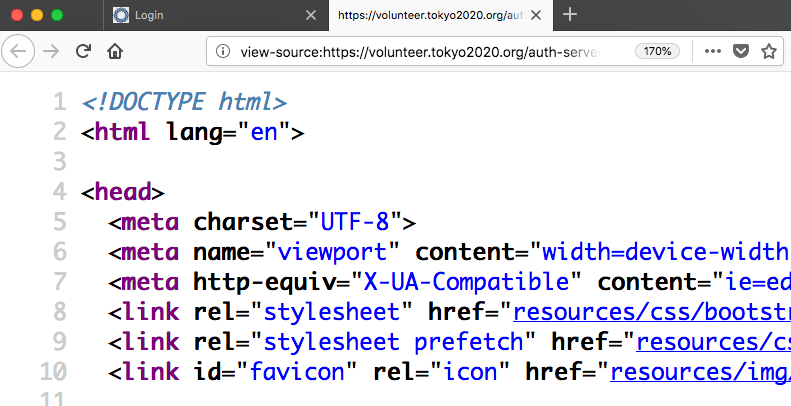 When specified on HTML elements, the id attribute value must be unique amongst all the IDs in the element’s tree and must contain at least one character. The value must not contain any space characters. convert: `%s' (%d) "gs" -q -dQUIET -dSAFER -dBATCH -dNOPAUSE -dNOPROMPT -dMaxBitmap=500000000 -dAlignToPixels=0 -dGridFitTT=2 "-sDEVICE=pngalpha" -dTextAlphaBits=4 -dGraphicsAlphaBits=4 "-r72x72" -g612x792  "-sOutputFile=/tmp/magick-GrMdTtj4--0000001" "-f/tmp/magick-4q5WILKb" "-f/tmp/magick-th3RM7bj" -c showpage @ error/utility.c/SystemCommand/1890. convert: Postscript delegate failed `VU-332928.ps': そのようなファイルやディレクトリはありません @ error/ps.c/ReadPSImage/832. convert: no images defined `test.png' @ error/convert.c/ConvertImageCommand/3046. identify: `%s' (%d) "gs" -q -dQUIET -dSAFER -dBATCH -dNOPAUSE -dNOPROMPT -dMaxBitmap=500000000 -dAlignToPixels=0 -dGridFitTT=2 "-sDEVICE=pngalpha" -dTextAlphaBits=4 -dGraphicsAlphaBits=4 "-r72x72" -g612x792  "-sOutputFile=/tmp/magick-ItbgeaDQ--0000001" "-f/tmp/magick-59biIgLS" "-f/tmp/magick-KUgSVrTU" -c showpage @ error/utility.c/SystemCommand/1890. identify: Postscript delegate failed `VU-332928.ps': そのようなファイルやディレクトリはありません @ error/ps.c/ReadPSImage/832. ./gm identify: "gs" "-q" "-dBATCH" "-dSAFER" "-dMaxBitmap=50000000" "-dNOPAUSE" "-sDEVICE=pnmraw" "-dTextAlphaBits=4" "-dGraphicsAlphaBits=4" "-r72x72" "-g612x792" "-sOutputFile=/tmp/gm8OJn56" "--" "/tmp/gmBWNNro" "-c" "quit" (child process quit due to signal 13). ./gm identify: Postscript delegate failed (VU-332928.ps). ./gm identify: Request did not return an image. dcraw =>          "dcraw" -c -w "%i" > "%o"
dot =>          "dot" -Tps "%i" -o "%o"
dvi =>          "dvips" -q -o "%o" "%i"
fig =>          "fig2dev" -L ps "%i" "%o"
htm =>          "html2ps" -U -o "%o" "%i"
html =>          "html2ps" -U -o "%o" "%i"
ilbm =>          "ilbmtoppm" "%i" > "%o"
pnm<= ilbm      "ppmtoilbm" -24if "%i" > "%o"
pnm<= win       "gm" display -immutable "%i"
ps<= print     "no -c -s" "%i"
shtml =>          "html2ps" -U -o "%o" "%i"
Artifex takes security issues very seriously and strongly encourages responsible and coordinated disclosure of vulnerabilities. Developers should be given the opportunity to fix security problems in advance of public disclosure. # Certificate "GlobalSign Root CA"
CKA_LABEL UTF8 "GlobalSign Root CA"
# Certificate "Explicitly Distrust DigiNotar Root CA"
CKA_LABEL UTF8 "Explicitly Distrust DigiNotar Root CA"